Make sure Christmas is all wrapped up, with the perfect PlayStation gift for your loved ones. Dive into the world’s best-selling console, with 500GB or 1TB storage. Bring super-charged 4K gaming and entertainment home. Experience the total immersion of virtual reality and live the game. Whatever kind of player you’re buying for, there’s a PS4 game for every occasion. 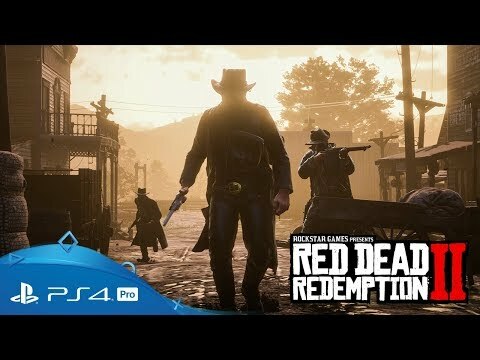 Get Red Dead Redemption 2 on PS4. Journey into America's unforgiving heartland and embark on a tale of outlaw life at the dawn of the modern age. 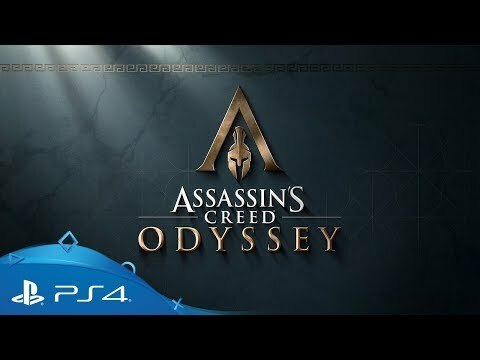 Become a Greek hero in Assassin’s Creed Odyssey, an inspiring adventure where you influence how history unfolds in a rich and ever-changing world shaped by your decisions. Hunt down ferocious creatures in a dynamic living environment in Monster Hunter: World on PlayStation 4. Explore the minds of the Hayes family surreal psychological thriller Transference on PS4. Explore the lurking horrors of a stranded colony ship in VR with The Persistence for PlayStation 4. 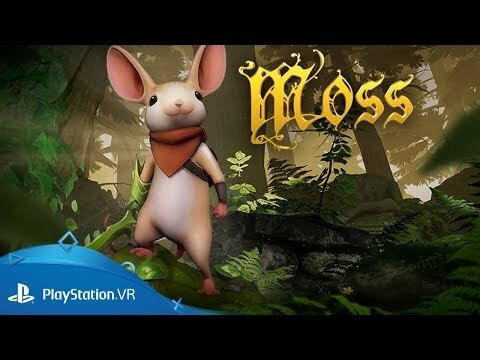 Unleash the power of PS VR and save the earth with super-powered animals. What will you discover in this unforgettable PlayStation VR adventure mystery? Trade punches on PlayStation VR in blockbuster beat 'em up Creed: Rise to Glory. Test your pop culture knowledge across the last four decades in this comical quiz. Swing into mini-game mayhem for all the family, only on PlayLink for PS4. Grab your mic and blast out big tunes in this party based singing game from the PlayLink range, exclusive to PS4. 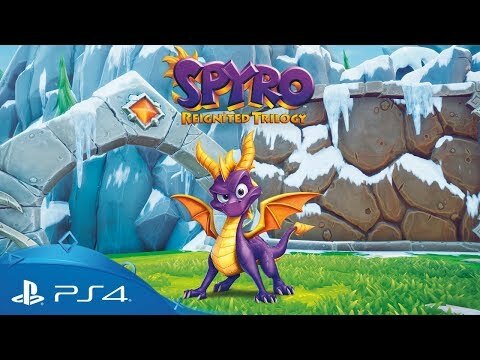 Relive Spyro's greatest adventures, completely recreated for PS4. Design your own game world and then explore, create and conquer in Minecraft: PlayStation 4 Edition. Discover how the PS2 masterpiece reaches new heights on PS4. Get your hands on a compact recreation of a gaming icon. Packaged with two controllers and preloaded with 20 classic games, including Final Fantasy VII, Tekken 3 and R4 Ridge Racer Type 4, it’s the perfect gift for retro-gaming fans – and for those who missed out on the machine which changed everything. If you’re struggling to pick out the perfect gift for the gamer in your life, a PlayStation Store gift card has you covered. Simply buy this physical card from a retailer and it tops up their PlayStation Store wallet with credit – letting them take their pick from a vast variety of great entertainment, including games, add-ons and subscriptions. Get more for less with an awesome line-up of PS4 games at an affordable price. Offering a collection of great PS4 games at a great price, PlayStation Hits features everything from award-winning epics to family friendly favourites that won’t break the bank. PlayStation Plus members get two PS4 games to download every month, exclusive PlayStation Store discounts, access to online multiplayer gaming, 10GB of cloud storage and more. Joining is easy - simply visit PlayStation Store and choose from three subscription plans, or buy a physical gift card from local or online retailers. 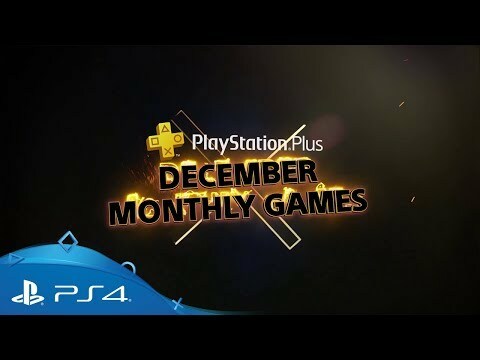 Spend some quality gaming time with your loved ones during the holidays, thanks to a selection of the best multiplayer PS4 games available – all without leaving the comfort of your couch. Need to escape all the hustle and bustle during the festive season? Here’s your ticket to a variety of amazing worlds that will give you a break from any Christmas chaos. Discover a beautiful garden set in a mysterious world of gorgeous islands, then traverse forwards and backwards in time to solve puzzles and reveal its many secrets. 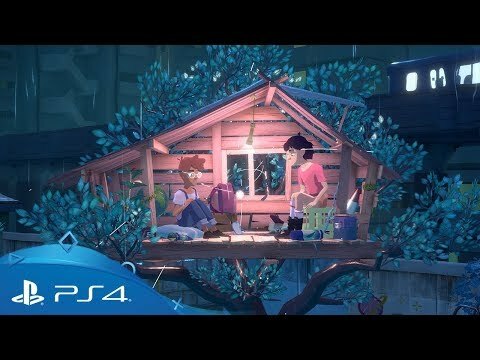 Journey through a stunning storybook style world that you can enjoy first-hand with PlayStation VR, letting you interact with Quill’s fantasy land with your hands. Explore the exciting realms of the Dragon Kingdom in stunning HD, bringing them to life like never before. With Spyro as your guide, this fantasy world is an unforgettable all-ages adventure. It’s not all rootin’ tootin’ gun fighting in Rockstar’s adventure game. Just roam the Western frontier on your trusty steed and soak in the beautiful sunsets. 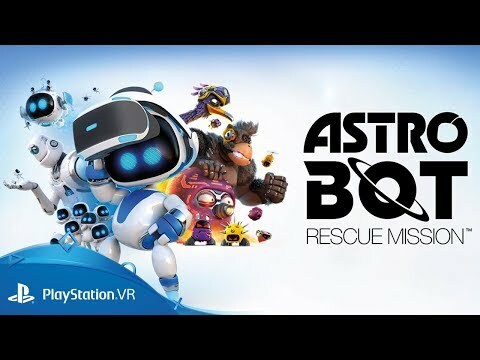 With the power of PS VR, you’ll truly feel like you’re running through flower fields or climbing a beanstalk kingdom while helping Astro on his quest. Additional controllers, audio headsets and much more, available from high street shops or your preferred online retailer. Bring your friends into play with style, thanks to new special edition controllers. Recharge up to two DUALSHOCK 4 wireless controllers at the same time to keep you in the game. Experience exceptional audio that brings your games to life. Effortlessly navigate the entertainment apps and media player on your PS4 with this compact remote. Get your hands on the perfect controller for younger players and those with a preference for smaller grips. Bring games to life with this gaming chair, perfectly sized for younger players, with a compact foldable design for easy storage. Appreciate incredible detail with these flicker free, anti-glare eSports monitors with Black eQualizer technology. Get the edge with this fully customisable controller, with wireless and wired control options and Razer Chroma lighting around the touch pad. Enjoy this tournament-grade arcade stick, complete with two differently shaped stick heads, a customisable faceplate and professional SANWA components. Get your fill of clothing, artwork collectibles and more – ideal for thoughtful presents and stocking fillers. Get next working day delivery until 21st December. Maximise your own festive fun this holiday with these easy wins to wind down from the Christmas chaos. Put on your PlayStation VR headset and step into the spooky world of Stranger Things, see New York through the eyes of Spider-Man, get a front row seat with the Philharmonia Orchestra of London… and more – all without spending a penny. Head over to PlayStation Store for a variety of fantastic games that are free to play – simply download them to your PS4 and enjoy. Stream or download over 500 games to your PS4 with a monthly or annual subscription fee – blockbusters, PlayStation exclusives, family favourites and more are available at just the press of a button. Ring in the New Year with fresh games for your PS4 - take your pick from 100s of amazing deals on PlayStation Store.